I’ve been a bit slack getting this series off the ground, but I’m finally bringing you another review. This time the subject is a little less heavy, but every bit as important: the danger of strangers and, secondary to that, why you should not judge a book by its cover. 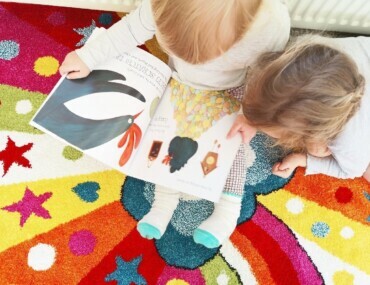 It’s crucial that difficult topics are introduced in a gentle, non-threatening way, and books are fab for that. This one includes stranger danger activities at the end to reinforce the important message. So-called ‘stranger danger’ is a critical concept to instil in our children from a young age as a safeguarding measure. Doing so whilst minimising fear is not simple! 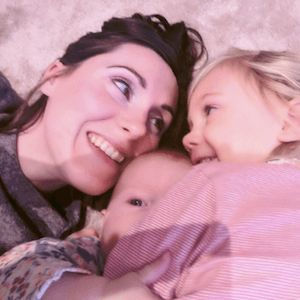 And teaching our youngsters about judging others is also a really important lesson for our little ones to learn – never more so than now, when we’re seeing more openness around gender and sexuality. My personal feeling is that a liberal attitude is correct, and open dialogue from the beginning will, in time, eradicate arbitrary bigotry. We can but hope! 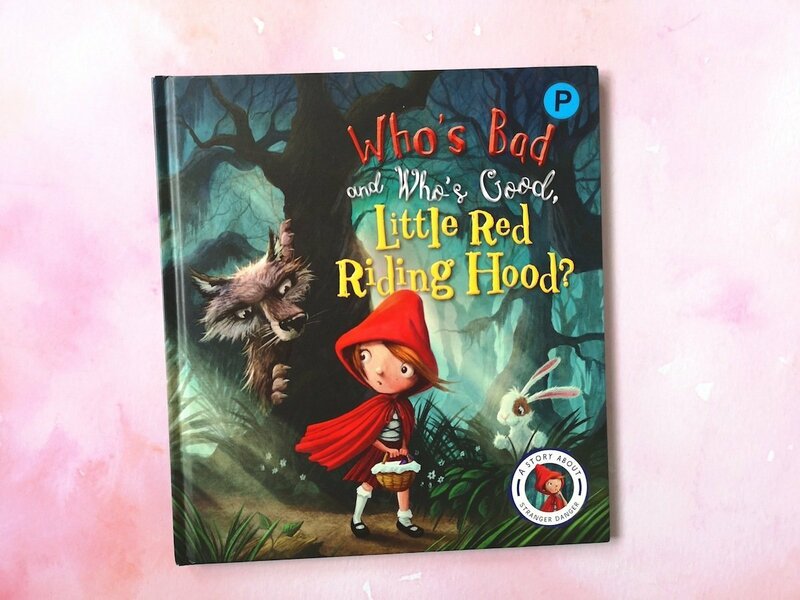 The book we’re looking at today is Who’s Bad and Who’s Good, Little Red Riding Hood? 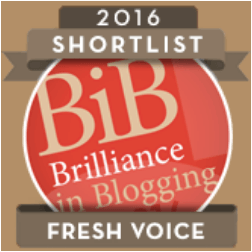 by Steve Stallman and Neil Price (affiliate link). 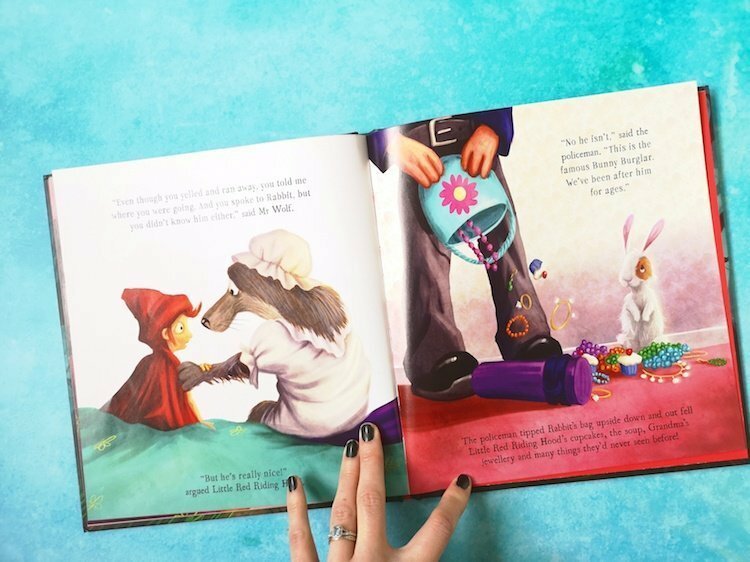 At first glance, the book appears to be the traditional fairytale, but it actually very cleverly uses a well-known story to explore a complex subject, in a way that children should be able to grasp. Stranger Danger for Preschool: Who’s Bad and Who’s Good, Little Red Riding Hood? The book starts off as anticipated, with Little Red Riding Hood taking some cakes to her grandma. Her mother advises her not to speak to anyone she doesn’t know, and what to do if a stranger approaches. Shortly after setting off, Little Red Riding Hood comes across the wolf. She runs away screaming, just as she’s been instructed, except she also mentions her destination. Little Red Riding Hood soon happens across a friendly looking rabbit who offers to chaperone her to her grandma’s house to keep her safe. Little Red Riding Hood accepts and continues her journey with the rabbit. 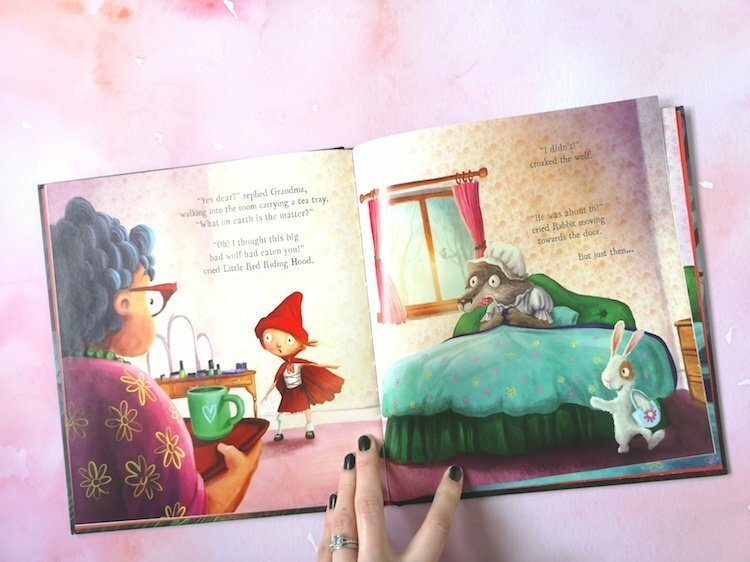 On arriving at her grandma’s house, Little Red Riding Hood is alarmed to find the wolf in her grandma’s bed and wearing her nightgown, just like in the traditional tale. Little Red Riding Hood predictably makes the assumption that the wolf has gobbled up her grandma – and is quickly proved wrong as Grandma arrives with a tray of tea, and explains that the wolf is poorly, hence being in bed. He’d gone directly to grandma’s house to warn her that Little Red Riding Hood was speaking to rabbit – a stranger. At this point the police arrive to arrest the rabbit who turns out to be a known criminal, and has been stealing from everybody. Little Red Riding Hood is initially baffled because the traits of the two characters don’t follow stereotypes. The book ends with suggested discussion points and stranger danger activities to further explore the subject and keep it fun. I love this book for the way its message is conveyed – it’s simple yet incredibly effective. I’ve read the book with Pixie who’s currently four, and even at her age she was able to make sense of the concept and its significance. 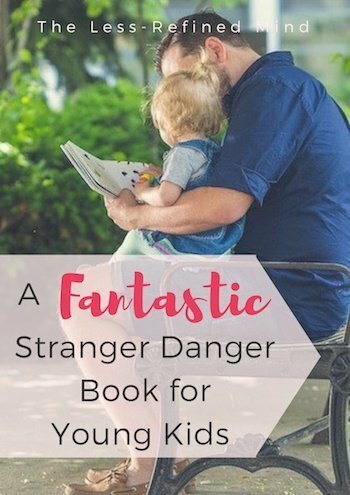 This is a fantastic book for exploring with young children the subjects of stranger danger and why you shouldn’t judge a book by its cover. 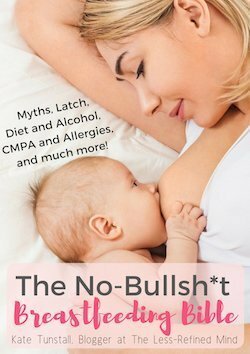 Do you have any other recommendations for books covering these topics?